Another week, another 10 cents deal alert. You should know the symphony by heart now, but in case you've never seen these deals before, here's the gist. Every week, one or two games or apps drop their prices on the Play Store to 10 cents, i.e. pocket change. The discount doesn't affect all countries and is usually limited to France, Italy, Spain, and Germany (EUR 0.10), Russia (RUB 10), the UK (GBP 0.10), and Australia (AUD 0.20). Sometimes, the deal is opened to more countries after a few days, including the US, Canada, India, etc... But other times, we're not that lucky. 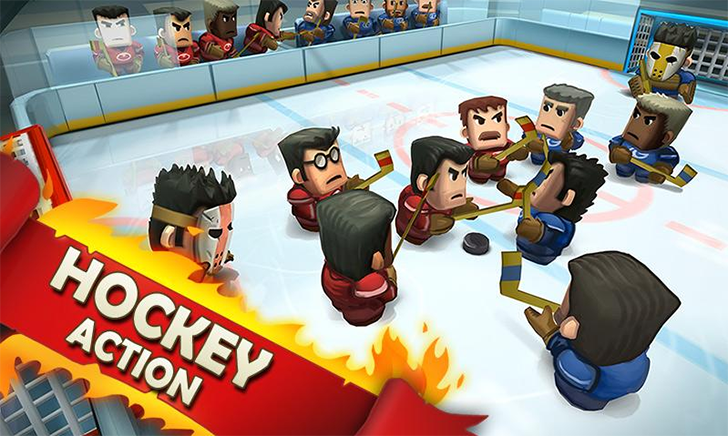 This week's deal affects an ice hockey game named, appropriately, Ice Rage: Hockey. It's a rapid-fire game with one player and one keeper on each team, and plenty of modes, single-device multiplayer, 3D graphics, and so on. The game, however, has a lot of IAPs to buy new characters and customize the gameplay. Reviewers on the Play Store also complain of ads, which is more than annoying for a game normally priced at $1.99. It seems to be a cash-grab, so keep that in mind when taking the 10 cents deal on Ice Rage: Hockey if it's available for you.